Toddlers aren’t regular people. They have only a beginning sense of wanting to follow the rules or feeling the need to be socially accepted. They have a very poorly developed sense of memory and don’t yet plan for the future. Their ability to control their bodies is only starting to emerge. Don’t forget, they’ve only learned to walk and talk in the last year or so. They can’t yet control their impulses, but they really want to learn how. Yet we are asking this child (who was a sweet peanut swaddled in a blanket a few years ago) to master a complex task like potty training. This major process includes developing the body awareness needed for knowing when to go (and interrupting fun play time). It involves the emotional and moral developments of wanting to please us by doing the right thing. And it requires the cognitive development needed to figure out where to go, who to ask for help and how to get there — all while physically holding it, getting clothing off and finally letting it all go. It’s a complex task for anyone, much less a toddler. 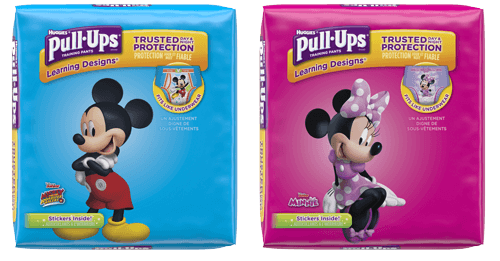 Potty training is truly the signature developmental achievement of toddler-age children because it combines all these complex tasks — physical, cognitive and emotional — into one seemingly simple act. So enjoy the journey as you help your child develop from a helpless baby into a much more complex little person who has newfound control over his body, mind, and emotions. You’ve come a long way, baby! Find your way to Potty Talk Series 3 to learn potty terms, tone and voice.